The 12-episode fourth season of TRUE BLOOD will kick off SUNDAY, JUNE 26 at 9:00 p.m. (ET/PT). Based on the popular Sookie Stackhouse books by Charlaine Harris, this hit drama series was created by Alan Ball, creator of HBO’s Emmy(R)-winning series SIX FEET UNDER. 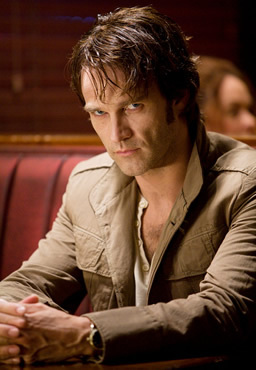 The show follows the romance between waitress Sookie Stackhouse (Anna Paquin), who can hear people’s thoughts, and her soul mate, 173-year-old vampire Bill Compton (Stephen Moyer). The 10-episode eighth season of CURB YOUR ENTHUSIASM will kick off SUNDAY, JULY 10 at 10:00 p.m. (ET/PT). This Emmy(R)- and Golden Globe-winning comedy series stars “Seinfeld” co-creator Larry David as himself in an unsparing but tongue-in-cheek depiction of his life. The new season was shot in New York and Los Angeles. The 8-episode eighth and final season of ENTOURAGE will kick off SUNDAY, JULY 24 at 10:30 p.m. (ET/PT). Created by Doug Ellin, this hit comedy series draws on the experiences of Hollywood insiders and stars Adrian Grenier, Kevin Connolly, Kevin Dillon, Jerry Ferrara and three-time Emmy(R) winner Jeremy Piven. What do you think? Are you looking forward to the return of these shows? Which do you like best? More about: Curb Your Enthusiasm, Curb Your Enthusiasm: canceled or renewed?, Entourage, Entourage: canceled or renewed?, True Blood, True Blood: canceled or renewed? I love trueblood, it’s not as good as the books, but still very “watchable”. I’m lookin forward to season 4! Curb Your Enthusiasm is the ONLY time I subscribe to HBO! @Jeremy Rynek: Returning this summer supposedly. No date yet.